Record PC screen and sound into a video file. 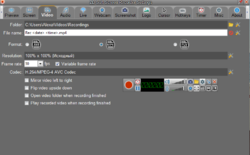 ZD Soft Screen Recorder 11.1.10 was available as a giveaway on July 4, 2018! 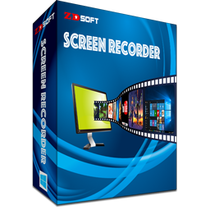 ZD Soft Screen Recorder captures screen / webcam / audio very fast and compresses them into HD videos on the fly, just like a camcorder inside your screen. Anything displays on screen can be captured, such as web pages, streaming videos and game screens. It’s highly optimized for both desktop screen capture and game screen capture in order to deliver the best screen recording experience. You almost could not feel any system lag when recording. !!! NB: Please use the email indicated in Readme to register the software. Otherwise the activation will fail. 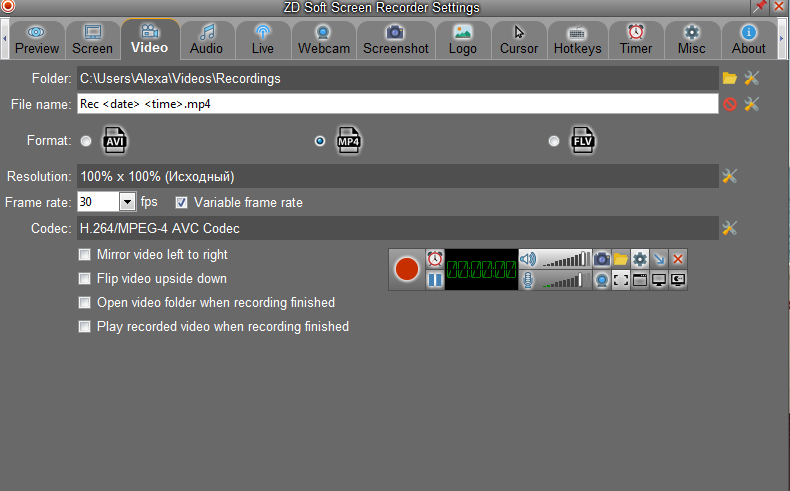 How would you improve ZD Soft Screen Recorder 11.1.10? Chill, guys. I had no trouble with the activation code entry. You just shut the program down, and restart it. The code entry splash come up when you restart the program. I did exactly and it didn't help. Still no success. Dave Baker, I did exactly and it didn't help. Still no success. How do you avoid having the Record Red/Green dot in your screen captures? Downloaded and installed no problems. (win 10 64) Recorded a u tube video. Good result, good sound and video quality. Also tried on flight simulator again good recording. Nice piece of software. Many thanks. Downloaded and installed with no problems. Tested on recording u tube, and also flight simulator. Both recorded well, good sound and video quality. Nice piece of software. Finally got it to work. I had to re-install the program. This is crazy. Used my name in the "Name field", used the email email@giveawayoftheday.com, and used the activation code exactly as given and still not working. Open and closed the program 4 times with no luck. How do I override this WinRAR : Diagnostic message - Cannot execute "C:\DOCUME~1\User\LOCALS~1\Temp\Rar$EXa6284.20481\Setup.exe"
and be able to install the ZD Soft Screen Recorder in my Windows XP Pro desktop. And that it isn't a valid Win32 application (my PC is a X86; hence a 32 instead of a 64). I thank you for your input. How do I override this WinRAR : Diagnostic message - Cannot execute "C:\DOCUME~1\User\LOCALS~1\Temp\Rar$EXa6284.20481\Setup.exe" and be able to install the ZD Soft Screen Recorder in my Windows XP Pro desktop. And that it isn't a valid Win32 application (my PC is a X86; hence a 32 instead of a 64). I thank you for your input. Is there a written documentation for the use of this software? I cannot see from the developer's page. 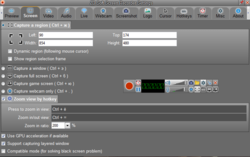 How to make a full screen capture? How to save whatever setting that is current? How to draw and how to highlight the mouse/cursor? etc. 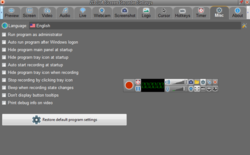 settings window, and capture box. and went back to the old version. I just downloaded and tested ZD Soft Screen Recorder 11.1.10, having previously used version 10.2.3 on December 27, 2016 (https://www.giveawayoftheday.com/zd-soft-screen-recorder/), and must say that I prefer the old version's control module, settings window, and capture box. The old version had a capture box that showed the aspect ratio at the top and allowed you to drag the box with your cursor, but the new version doesn't seem to let you drag the box. I tried installing in such a way as to have both versions on my PC, but each time, one overwrote the other instead of my ending up with two versions, so I unistalled the new version and went back to the old version. Steven Feldman, I totally agree with you, the old version was much better... But what are batter in this, if you compare picture quality and sound, coz if that are same as the old version i think I will go back to that again... Coz I really love that version and it was easier to handle, the only thing I miss is that opportunity to rename the recording after the record are done, as it are now, you have to rename it for each recording otherwise it will overwrite the last record. To me that seems wrong... Looked good to start with it is trying to use WASAPI under vista but on this laptop something is amiss the developer must try harder as there is no sound codec control interface for the video capture. And no way to confirm it is even connected to the correct hardware interfaces. Installed and registered ok following the included instructions. Am unable to get it to capture any sound though, does not capture built in microphones or the default output device, mp3 files generated have no captured sound within them and the captured mp4 files reports the sound track as AAC bitrate 3kbps 32bit per sample and 44.1K samples per second, unknown language... To me that seems wrong... Looked good to start with it is trying to use WASAPI under vista but on this laptop something is amiss the developer must try harder as there is no sound codec control interface for the video capture. And no way to confirm it is even connected to the correct hardware interfaces. Works very well on Win 10 (64) video and sound quality are both excellent. I use 4 monitors and it will record on any one of them without any problems while allowing me to keep the control panel on my main monitor. Haven't tried out all the various options but what I've tried so far suits my needs, if the other untried options work then bonus. Thanks. Aquarium capture to mp4 for TV. Works excellent for me. Thinkpad T420 1600x900 Windows 10 Pro Aquarium capture to mp4 for TV. Registered without a problem. I do wish it had a timer, but not a problem. Have been using v. 10.2.3 since it was offered here and have found it stable and very useful although very slow loading. New version loads faster. Where's the "About" button? Hey guys for those of you having trouble activating like I was it because you were doing same thing I was doing as I misread the instructions. !st don't use your own email use the one given in the instructions just above the key code second make sure you input the Key code as given. Also after installing the program if you have problems registering close the program restart then like you did the first time close it again and the register program window will pop up again. After I did this I had no problems installing program and or registering it. Thanks GOTD you have done it again and we are grateful for it also to the company offering this program because without you to we wouldn't have this great site!! Hey guys for those of you having trouble activating like I was it because you were doing same thing I was doing as I misread the instructions. !st don't use your own email use the one given in the instructions just above the key code second make sure you input the Key code as given. Also after installing the program if you have problems registering close the program restart then like you did the first time close it again and the register program window will pop up again. After I did this I had no problems installing program and or registering it. Thanks GOTD you have done it again and we are grateful for it also to the company offering this program because without you to we wouldn't have this great site!! Hi - Installed very easily. Only had a quick play so far. Seems promising for video/games etc. I have yet to find out how to capture a scrolling window as a screenshot, & that's important for me. Also, looks as 'tho it doesn;t allow .pdf, so no OCR capability. Looks like a keeper for moving screens, but unless I can plug those gaps I'll have to use another tool for stills [SnagIt probably]. No surprise, but fails to capture Amazon Prime streaming video - output is choppy, pixelated, or blank. Other than that, excellent quality output. Good software. No surprise, but fails to capture Amazon Prime streaming video - output is choppy, pixelated, or blank. Other than that, excellent quality output. Very simple to install and register. Thank you ! OK, I just reread the Readme file. You have to use email@giveawayoftheday.com as the registration email. Registered fine with that. Like so many others, will not accept the registration code I copy/pasted from the Readme file. Waste of time. , NB: Please use the email indicated in Readme to register the software email@giveawayoftheday.com Otherwise the activation will fail. Ken, maybe it would be in another download of the installation file. worth a try. Good luck. I've followed your directions to a "T" and no where do I get some a place to enter the registration key!!!!! Gene Wise, please follow Readme. To register the sotware close the program window, an activation window will pop up. !!! NB: Please use the email indicated below to register the software. Otherwise the activation will fail. Gene Wise, please follow Readme. To register the sotware close the program window, an activation window will pop up. click 'register' and enter any Name, Registration Email and the Key below: .... .... !!! NB: Please use the email indicated below to register the software. Otherwise the activation will fail. After recording, this software calls home base, why, is there something we are not tolled? sorry but could not find evidence for that, in fact it registers without I-net connection just follow the instructions in the readme. My firewall blocks all outgoing traffic and there's no indication the proggie was trying to so. You may update without loosing your licence to the new version that's out now. Barry2, sorry but could not find evidence for that, in fact it registers without I-net connection just follow the instructions in the readme. My firewall blocks all outgoing traffic and there's no indication the proggie was trying to so. You may update without loosing your licence to the new version that's out now. Does it record like Fraps and captures video in Realtime ? How many frame rate per second does video recording with this software? Does it record like Fraps and captures video in Realtime ? 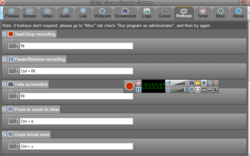 How many frame rate per second does video recording with this software? Andrian, did you see http://www.zdsoft.com/screen-recorder/? Why not test it yourself and tell us your findings? You know a lot more about video than I do. Andrian, did you see http://www.zdsoft.com/screen-recorder/? It says UP TO 4K RESOLUTION UP TO 120fps FRAME RATE Why not test it yourself and tell us your findings? You know a lot more about video than I do. Andrian, you can have up to 120 fps. It does not accept the code in the read me file! Gez, !!! NB: Please use the email indicated in Readme to register the software email@giveawayoftheday.com Otherwise the activation will fail. I don't know how you are entering the code stuff. I would renistall the program, then cut and past the stuff from the readme file. Any name works for the name field. I like W C Fields myself. The Best Screen Recorder. Thanks ZD and GoTD. I've used ZD Soft for a few years now. I love it. Very easy to use and recordings are very sharp & clear. Rodolfo Giovanninetti, errr your comment seems to lack the error details so no one can help you or at least figure out the real problem as yet! I've tried about 8 times to activate it under the code that was included but it says Registration Failed. Any ideas? Tried different browsers and ways and it just won't work. Lisa , Same here! I think I'll give it a miss. Yes...3x times for me and I am copying and pasting directly from the "Read Me" file, so I could not have mistyped. Very annoying! Lisa , Yes...3x times for me and I am copying and pasting directly from the "Read Me" file, so I could not have mistyped. Very annoying! Martin, I think it's the same code for everyone. I even deleted it out and re-typed it and it won't work. Lisa ,NB: Please use the email indicated in Readme to register the software email@giveawayoftheday.com Otherwise the activation will fail. Ok, I discovered you have to use the email: email@giveawayoftheday.com to activate it, not your personal email it was sent to. It worked, didn't run the program yet though. Gwen, FWIW, I use VLC Media Player. ZD worked for me: I used it to record videos from YouTube which could not be downloaded in the normal way. Also used it to record YouTube videos whose overlaid captions would be lost in a normal download. WOW! Positive reviews for a change! 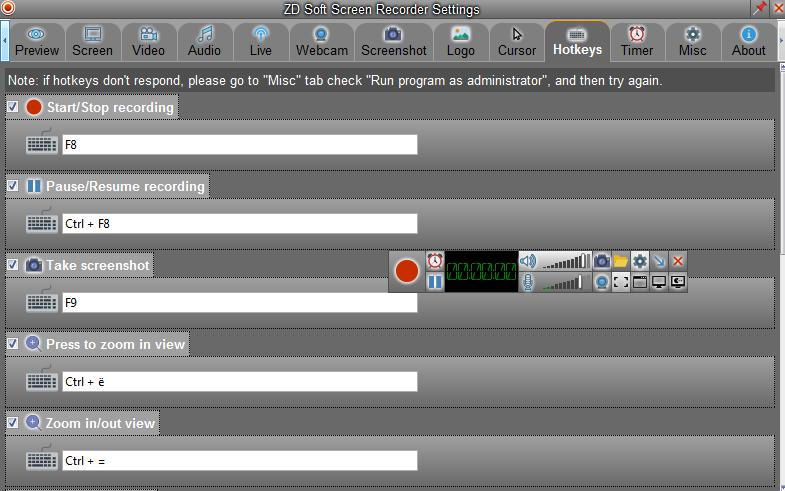 One of the best screen recorders thus far! I used this app for several years as a previous giveaway. Now we are given the latest version. Thank you Dev! Installed & registered with ease. Doesn't plug an annoying watermark on the recording. I like it and will keep it. 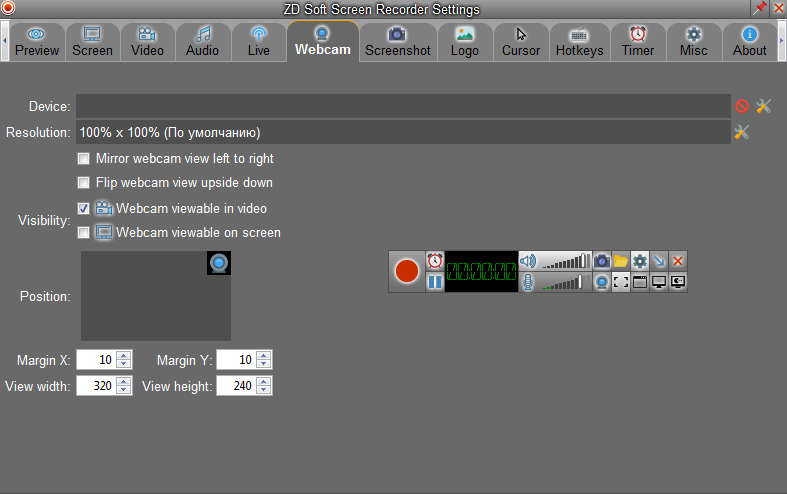 Yes, I'd very much be interested to know how it compares to Bandicam and how well the program actually works. I've been using Bandicam and I love it. Anyone have any experience with this program? If so, how does this compare?